ATDB • View topic - C.A.C/Comair:The history. 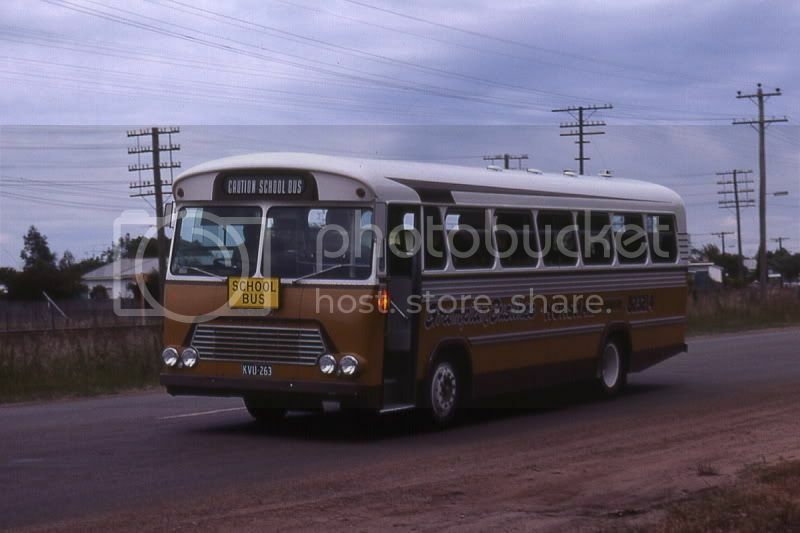 If there was one bus builder in Australia that was well known it was Comair.I drove many Comair Bedfords of various year models. I would like to get some idea of the order of each model from the first bus body to the last.If you can help out with information,photos,etc please do. 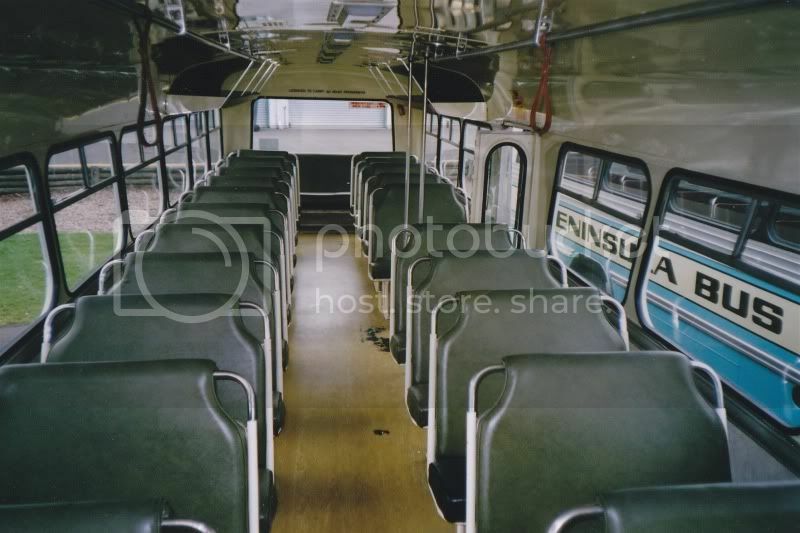 I know that they werent exclusive to Bedford's as there were other bus chassis' used throughout their history. Big thanks to all the replies. A mixed fleet of ex STA including Comair's. Ex STA and Woodvile High School Comair. Last edited by Denv12 on Sat Jun 25, 2016 7:04 am, edited 4 times in total. 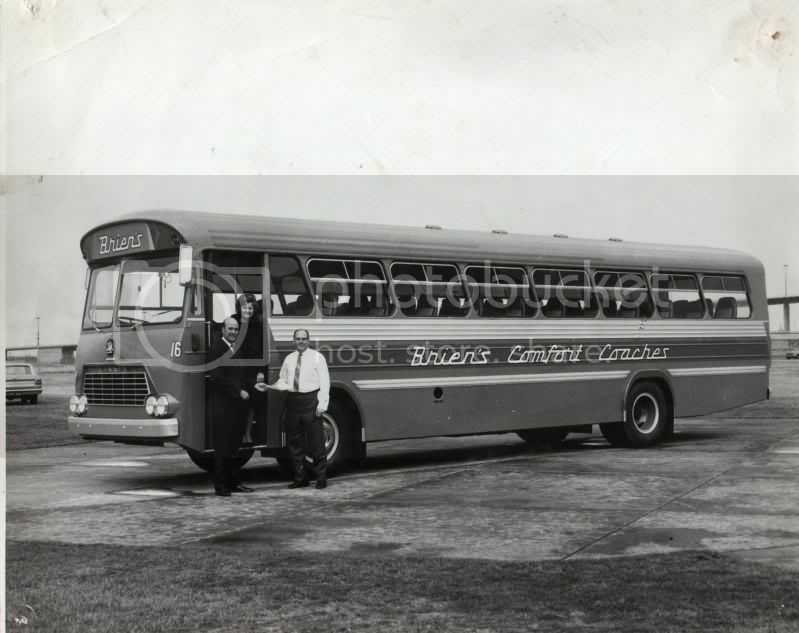 I will begin this part of the CAC bus story, with a little history of Bedford. It begins with Vauxhall Motors. Originally named Alex Wilson and Company (after its founder) and situated in Vauxhall, an area around South London, this company, which built pumps and marine engines, was established in 1857 and was soon renamed Vauxhall Iron Works. With the development of automobiles and the movement of the company into this business (1903), it was renamed again in 1907 as Vauxhall Motors having previously moved its main plant to nearby Luton. It was acquired by General Motors in 1925 and expanded into the manufacture of commercial vehicles. Luton was part of the county of Bedfordshire which led to the commercial range being named, "Bedford". GM remained the owner of Vauxhall Motors until the Global Financial Crisis (amongst other things) brought GM to bankruptcy. As part of the restructure and sell off of assets, Vauxhall Motors was sold to a Canadian company, Magna International, in 2009. In the early 60s, it was clear that operators were looking beyond the forward control buses that had dominated the medium chassis market during the 50s both in Britain and Australia. Forward entrance buses and coaches were being built on a variety of chassis such as Albion. The Bedford SB was still selling in large numbers, but an increasing number of operators were having alterations done to the SB chassis before the body was built. In Australia, this was particularly the case in NSW, with a number of forward entrance conversions appearing from around 1960. It would be true to say that the chassis manufacturer, Bedford, and its distributor here, GMH, were not enthused with the idea. CAC’s construction methods, being production line in design, certainly did not allow for chassis variation. But the wishes of operators could not be ignored. In 1967, Vauxhall Motors released a VAM with a larger 466 cubic inch Bedford diesel, designated as the VAM70 and was available in Australia in early 1968. The VAM3 had an option of 4 or 5 speed synchromesh gearbox, whilst the diesel engine models had a 5 speed gearbox as standard. Other body builders in Australia began to offer the VAM with an extended wheelbase and even with a repositioned engine at the rear. Whilst CAC did not ever offer the latter, it did eventually offer an extended wheelbase VAM from late 1970. It meant a 36 foot (11 metres) body rather than the standard 33 feet (10 metres). 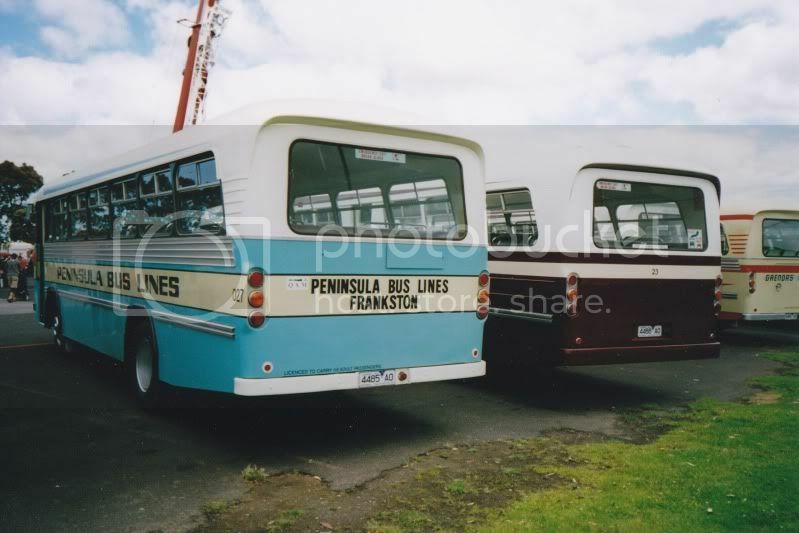 Few were built, all were single door coaches or school buses except for a couple of two door versions, one to Frankston PS and the other to Southland Bus Service. 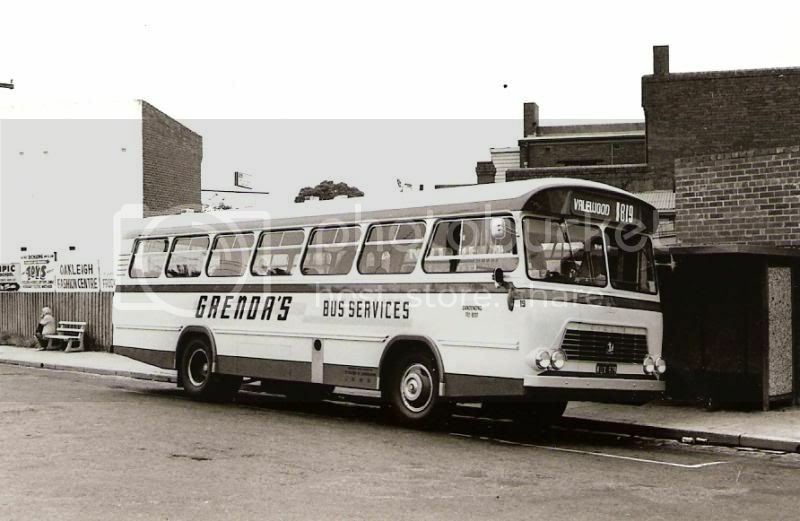 Brien's, Reid's and Thomas Tours in Adelaide were all purchasers of the longer coach version. In all, about 200 bodies on VAMs were built from 1966 to 1973, with the final VAM going to Brien’s in June of 1973. Grenda's took 27, the Sitch group 15, Peninsula Bus Lines had 10 and the 9 to Ventura as mentioned above. 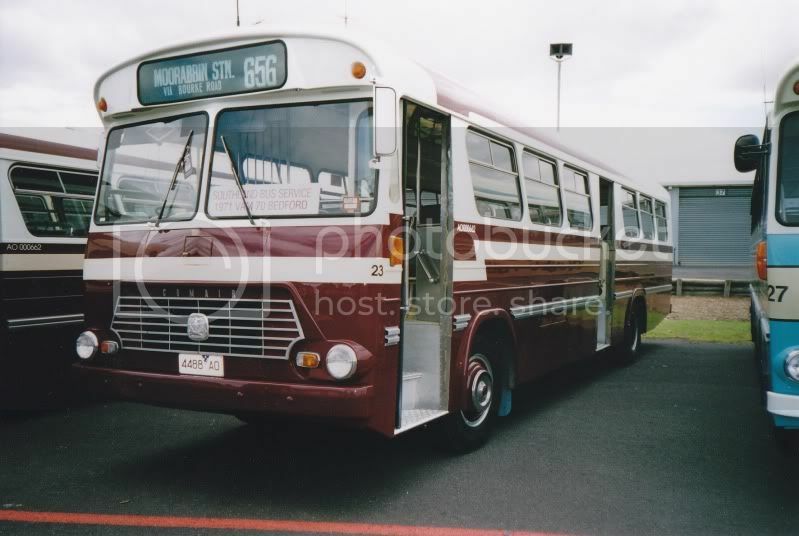 The remaining history of CAC bus production, until they finally ceased in 1980, was contained in additional parts in Australian Bus Panorama. I will endeavour to make some additional posts here. Here is a selection of Bedfords with Comair bodies for your viewing.Pictures from the Andrew Potts and Graeme Turnbull collections. Thanks system improver.Thanks for contributing.Thats some great history of the company.I added a few more photos. The SB Bedfords were very popular in their day.Saw many of these over the years as motorhomes and school buses,etc. I didnt know that the Comair was available in longer versions like the Brien's Comfort Coaches #16 and the Reid's. Denv12 wrote: ...I didnt know that the Comair was available in longer versions like the Brien's Comfort Coaches #16 and the Reid's. Last edited by system improver on Fri Sep 26, 2014 5:16 pm, edited 1 time in total. Another selection of Bedfords.Pictures from the Andrew Potts collection. There are two more preserved, both ex Victorian Railways. 381 (sorry, don't know the details aside from it's a 1965 Bedfored with a petrol engine) by the ARHS, which was located at Seymour Bus Lines for many years and has since been relocated to Newport Workshops and I think 384 inside Newport Workshops East Block with the PTC Heritage bus collection, in a rather garish Metropolitan Transit colour scheme. Neither have been restored as yet - when I was involved with the ARHS, there were the very beginnings of plans to restore 381. Here is 381 and 384 when still in service with VR and went the Tait trains were still running.Pictures from the Graeme Turnbull collection. Bedford-29 wrote: Another selection of Bedfords.Pictures from the Andrew Potts collection. 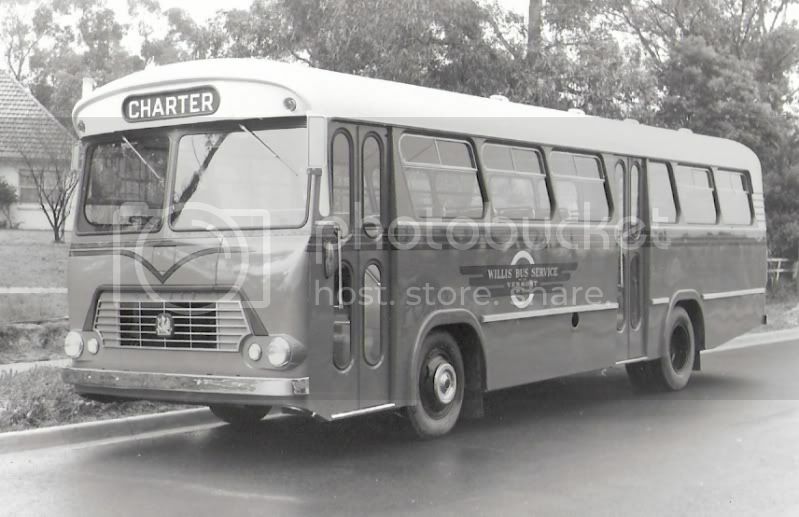 I love the collection of photos you added.I remember the Graeber's of Lobethal.That must have been before Len Johnson of Aldgate bought the fleet.I that bus was still being used in the mid 1980s.All the buses look great in their respective liveries.It shows that someone knew how to make them look good. 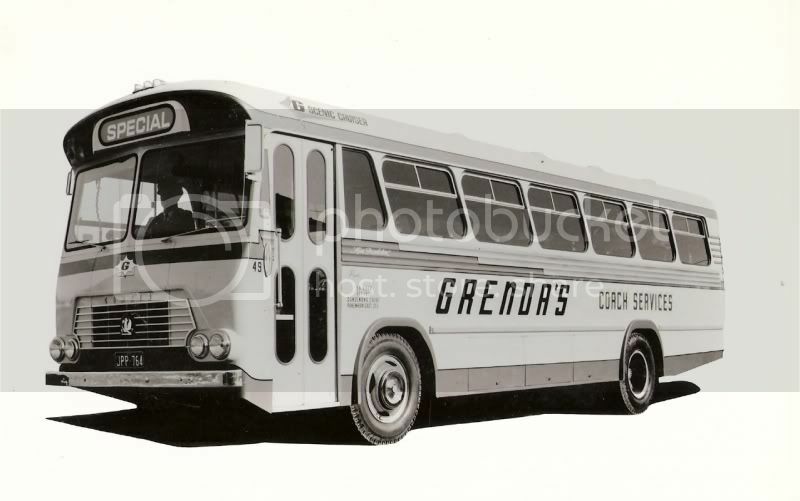 Very Informative.I loved the Grenda photos you added.Grenda #17 is the comair bus I liked most.It was a regular bus on the Glen Waverley 850,my local route.I believe it was built around 1971.Does anyone have a photo of it? I'd really like to see it again! 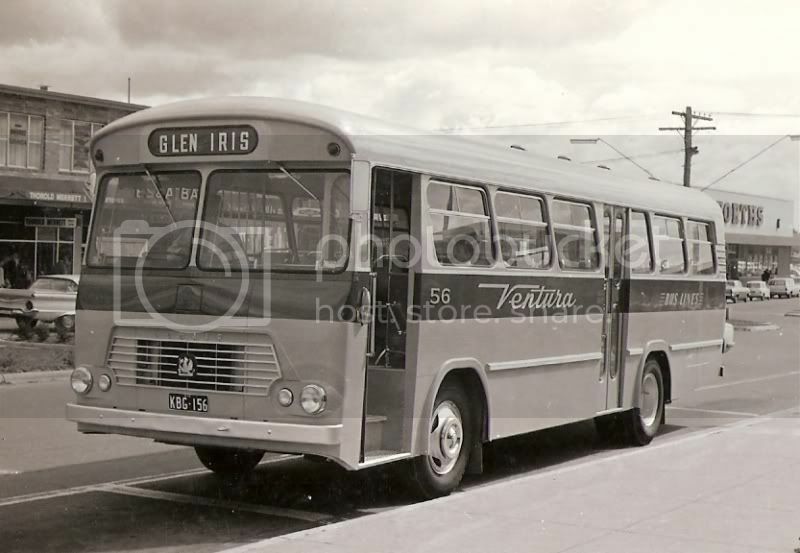 bosun wrote: Very Informative.I loved the Grenda photos you added.Grenda #17 is the comair bus I liked most.It was a regular bus on the Glen Waverley 850,my local route.I believe it was built around 1971.Does anyone have a photo of it? I'd really like to see it again! It would be interesting if there had been any step deck versions built. Denv12 wrote: It would be interesting if there had been any step deck versions built. Three more Bedfords for you to look at.Pictures from the Andrew Potts and Graeme Turnbull collections. Lol, but I'm guessing the CDs have better quality images. Seeing the pictures makes me very tempted to buy them if it were a relatively straightforward process. Here is one picture I for to add.Picture from the Graeme Turnbull collection. Last edited by Bedford-29 on Fri Oct 03, 2014 8:13 am, edited 1 time in total. The process is straightforward. Both the Andrew Potts and Graeme Turnbull Collections are still available, each with about 1200 photos. They are $20 each or, as a special, $30 for both including postage. Purchase can be made by sending a letter to Bus and Coach Society of Victoria, PO Box 33, Caulfield East, 3145 together with the appropriate amount in cheque or by direct credit to the BCSV account: BSB 063 159 Acct No. 10024243 either electronically or in person at a CBA branch. Where this method is used, an email should be sent to bcsv@y7mail.com to expedite delivery with address details. I have no objection to relevant images being posted with credit. I have found this thread very interesting with some excellent photo's. 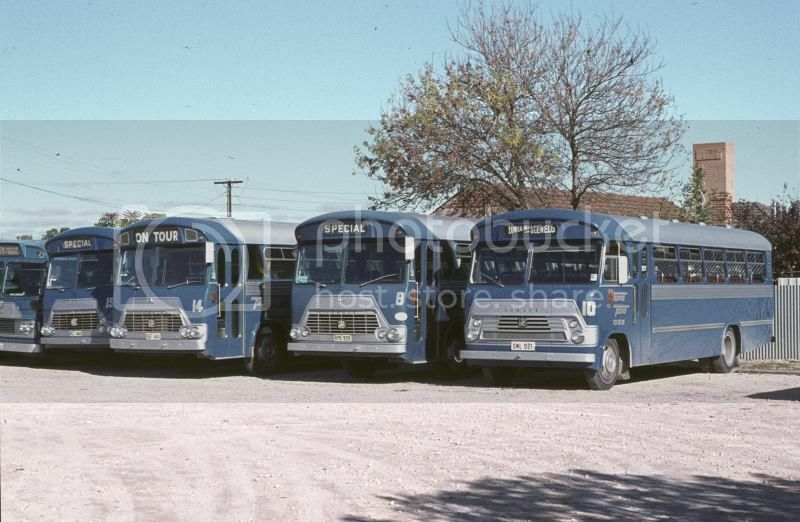 They were a versatile body from school/route to coaches My question is how far and wide were they sold, going by photos and text and Bus Panarama several went to S.A with the bulk of them sold in Vic. I do know that a couple went to Tassie with Renison Mining having 2 and Ayers Motor service may have had 1 or maybe 2 and Crawns but that is all I know off,were there anymore sold interstate eg NSW I am talking about the VAM bodied units ?. Here is one Comair Bedford 7SB that went overseas to Fiji.Picture from Ian Lynas Buses Worldwide website. stevegj52 wrote: I have found this thread very interesting with some excellent photo's. 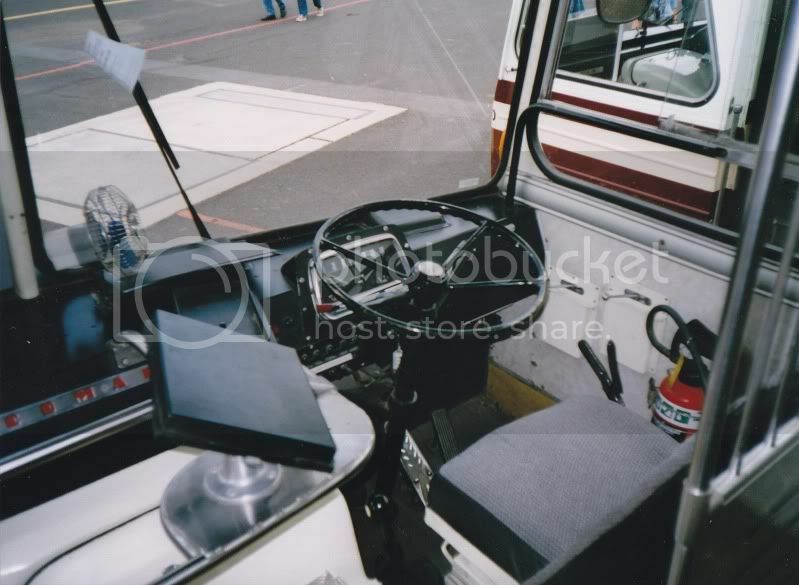 They were a versatile body from school/route to coaches My question is how far and wide were they sold, going by photos and text and Bus Panarama several went to S.A with the bulk of them sold in Vic. I do know that a couple went to Tassie with Renison Mining having 2 and Ayers Motor service may have had 1 or maybe 2 and Crawns but that is all I know off,were there anymore sold interstate eg NSW I am talking about the VAM bodied units ?. Steve, as far as I can tell, there were five operators in NSW who acquired them: Purtill of Deniliquin (3), Martin's of Albury (3), Deane Sydney (1),Fasham of Barham (1) and Hill Temora (1). In Tassie, both Renison and Ayers got two and Bardenhagen of Lilydale one. Any that went to Crawns must have been second hand. If you still have ABP 26/6, the full list is printed there. Bedford-29 wrote: Here is one picture I for to add.Picture from the Graeme Turnbull collection. 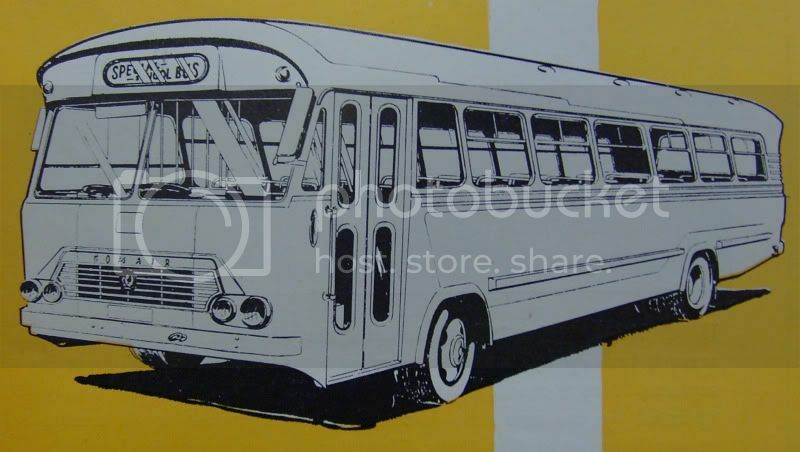 Since the STA sold off these buses,my father Jack Sellick seemed to have bought up most of the Bedfords as they became available.There were several Comairs amoungst them.Starting around early 1980s then buying some of the AEC's and Leylands too. I hadnt seen this vehicle before.Nice photo. 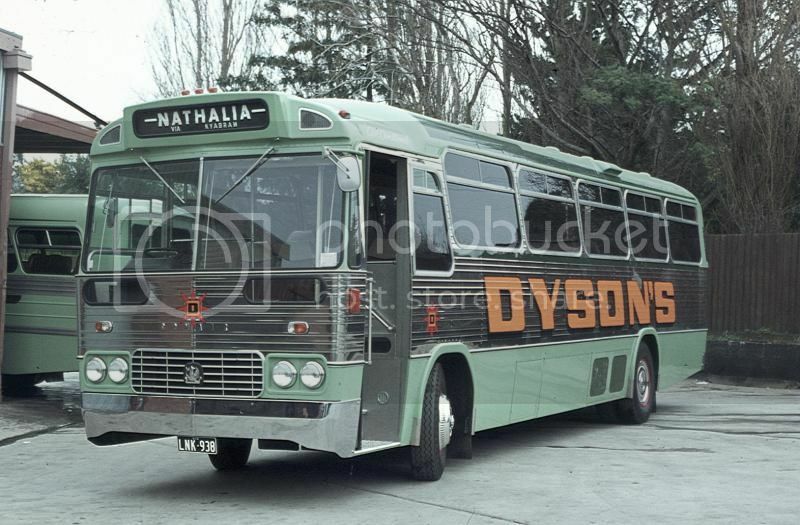 Its a very modern look for its time.Nice looking bus too.Thanks for sharing.